Keira has played with a lot of different lengths and we love her bold looks. This brilliant beautiful British lady looks great no matter what hairstyle she’s rocking. From a crimped bob to her vintage finger waves or her natural brunette hair or with a touch blonde, her classic short hair cuts can serve as inspiration to woman of any age and with any hair type. One of her most edgy look was her short pixie that was polished with blonde highlights. 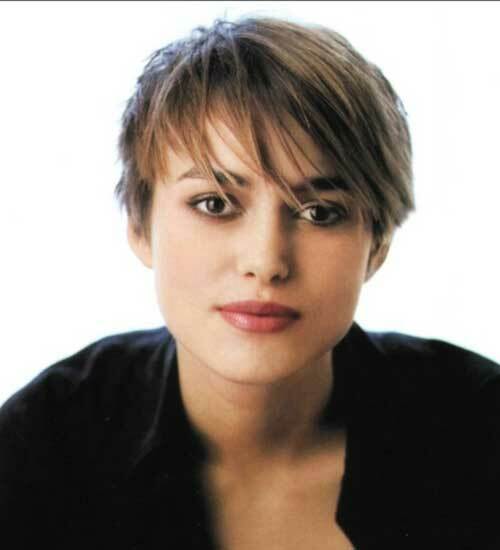 While many women worry that this pixie haircut is a one-way ticket to boystown, Keira proved there’s nothing sexier than a sculpted face and the neck of a swan. Gamine and gorgeous, yet classic-the short pixie hairstyle takes guts. Here are 15 Keira Knightley Pixie Haircuts.